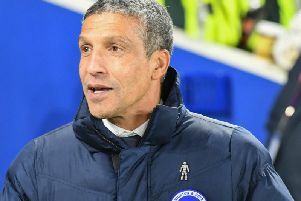 Brighton and Hove Albion latest: Did Brighton deserve a point at Liverpool? Does the Carabao Cup matter? Is Yves Bissouma destined for greatness? On this week’s Seagulls Weekly podcast, we talk about the narrow loss against Liverpool, an inexperienced Brighton side's Carabao Cup exit at the hands of Southampton and look ahead to the visit of Fulham. There's also a lot of love for Yves Bissouma. Click on the video above to start watching episode four of Seagulls Weekly. Subscribe on Acast or iTunes to receive an audio version every Friday.